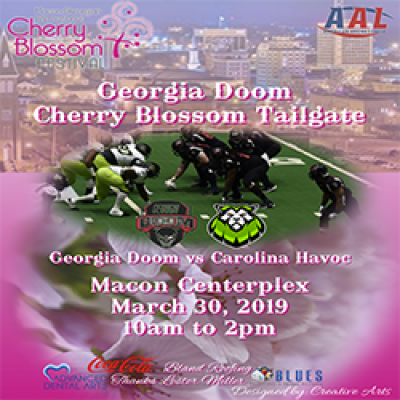 The Georgia Doom will be hosting the Cherry Blossom Tailgate Party for the 2nd Annual Cherry Blossom Celebration game from 10 am- 2 pm at the Macon Centreplex. Come out and have a chance to win prizes, play games, and cheer on Macon’s professional Arena Football Team, the Georgia Doom, as they host the defending American Arena League Champions, the Carolina Havoc. FREE!